This chic and luxurious two bedroom apartment in Barcelona, located in close proximity to the Sagrada Familia is the ideal base for those making their way to the Catalan capital. With easy access to all of the sights in and around Barcelona, Gaudí´s city and all of its treasures will be at your fingertips! This warm and welcoming apartment can accommodate up to 4 people, making it great for groups of friends or families visiting Barcelona. 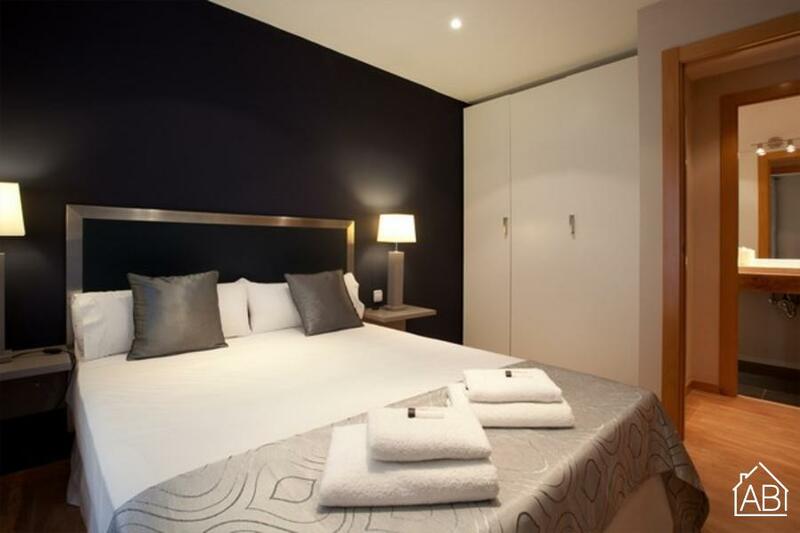 The main bedroom has a double bed, while two single beds can be found in the second bedroom. Unwind after a day of sightseeing in the living area, complete with a TV. An Internet connection is also available in this apartment. Be sure to take advantage of the fully equipped kitchen as you prepare some of your favorite home-cooked meals, all in the comfort and privacy of this ideal home-away-from-home. This charming holiday apartment in Barcelona is a great choice for those who seek a comfy place to call home, any time of the year!